Video: Saadi Love Story Contest - Share Your Love Story! If you are in love and have a unique love story to share then send it to us sadilovestorycontest@hotmail.com. We will post your story on our Facebook page: www.facebook.com/saadilovestory and you win chance to watch the movie with the starcast of "Saadi Love Story". Eros International in association with Jimmy Sheirgill productions presents Saadi Love Story a film directed by Dheeraj Ratan. 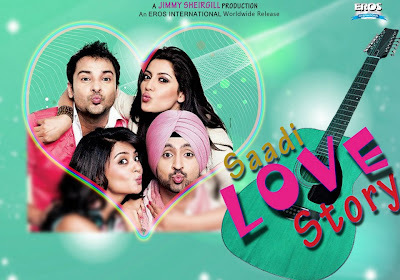 Saadi Love Story features Diljit Dosanjh, Surveen Chawla, Amrinder Gill & Neetu Singh in the lead roles.